A new study finds board quotas don’t improve conditions for the average working woman, but they do the job of giving women more representation among powerful roles. Call it the Sheryl Sandberg theory of feminist progress: help more women get into the tippy top of the company pyramid and change will spread to the bottom ranks. You could also call it trickle-down feminism: focus on equality at the top and the rewards will flow downward. There are some real life examples that show this doesn’t always pan out. Take Marissa Mayer reducing flexible scheduling after she became the first female CEO at Yahoo, or Sandberg herself, who didn’t realize pregnant women needed reserved parking lots close to the building until she was pregnant. But a new study quantifies just how far the effects of putting women in leadership can, and can’t, go. Marianne Bertrand, Sandra E. Black and Sissel Jensen examined what happened after Norway instituted a quota in 2003 that required public companies to make their boards at least 40 percent female. The quota did get many more women onto corporate boards, and it may have helped boost their pay, as the wage gap between male and female board members fell. Additionally, it may have helped increase the number of female executives at these companies. While the researchers couldn’t look at the exact genders of those in the C-suite, when they looked at the gender makeup of the five most highly paid people at the companies they found that more female board members begot more women in that group. “[A] higher share of female directors may increase the chance that a female employee…is one of the top five earners,” they report. Women who joined a company’s board were also more likely to end up among its top executives. The march of progress, however, mostly stops there. An increased number of women on a company’s board had no impact on increasing women’s ranks at any other wage levels below the very top. And not much else got better for the lower-downs. “We also see no improvements on gender wage gaps…and find no evidence of changing work environments,” the researchers write. Generally, they found no evidence that increasing women’s representation on boards boosted female employment overall or employment for women with business degrees or children in particular. They also didn’t find evidence that seeing more women at the top spurred younger women to get a business degree or go into the field. So does this mean quotas are a public policy failure? Not at all. That’s not what quotas do. The study shows that quotas increase women’s representation among top leadership and even narrow their pay gaps. But to believe that setting aside a certain share of seats that the top for women will mean that everyone below them does better is to believe change can come more easily than it does. Quotas, instead, serve to bring gender equality to one specific area: positions of power. We can never say we live in a country rid of patriarchy while women hold less than a quarter of all political offices, 5 percent of CEO positions and less than 15 percent of executive officer positions, and less than 17 percent of board seats. And change isn’t coming voluntarily. Women have held about the same share of executive officer roles for four years and the same share of board seats for eight. Countries that have quotas, or even just strongly suggested goals, are making much faster progress. 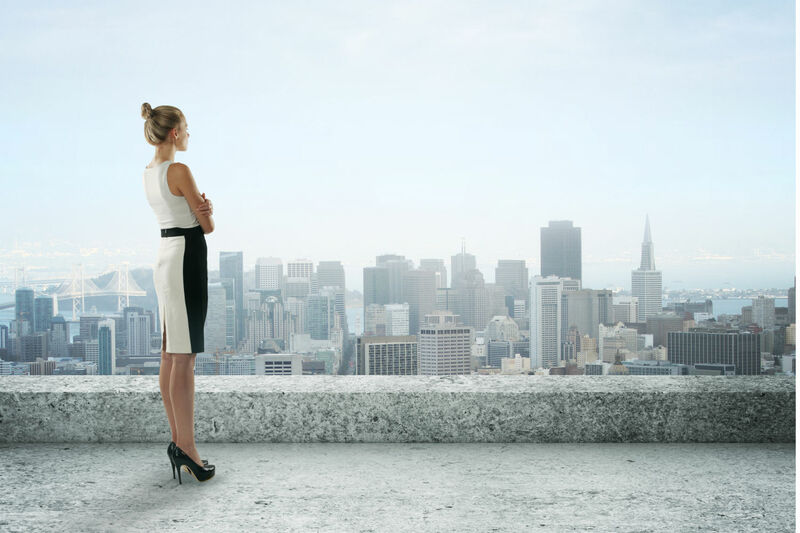 There are a variety of reasons why individual women in leadership don’t signal broader change. Patriarchy still has a very firm stranglehold on our society, and trying to loosen its grip can prove to be too hard a task for a woman all on her own. (In fact, research has found that it takes at least three women on a company’s board to make a real difference.) Individual people are also flawed and have limited perspectives—had Sandberg never become pregnant, she may not have realized what pregnant women at work need, as many well-meaning male bosses likely don’t. And women are put into these roles to do their jobs and often to focus on shareholder value, not to stage a gender revolution, and those two things can sometimes be in conflict, as with Mayer and her belief that telework was hurting Yahoo’s work culture. Still, we could use a quota, or at least a strongly suggested target to make equality at the top move faster. That doesn’t mean it would transform things for everyone else. There’s plenty of other of work to do to bring about gender equality in the workplace. But it would start to dilute the white male cabal currently running our largest institutions.